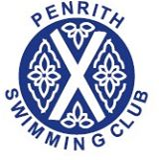 THE annual Penrith Swimming Club championships were held earlier than usual this year because of the imminent temporary closure of the pool. The final round took place on Sunday, preceded by a minute’s silence in memory of Fred Birtle, who died earlier in the week. He was the husband of club president Jenny Birtle, who presented the medals. Results: 100m breaststroke, ladies 1 Naomi Smith, 2 Laura Huggon, 3 Rebekah Smith. Men 1 Stewart Marshall, 2 Mark Nixon, 3 Allan Armstrong. 9 years 50m freestyle, girls 1 Lucy Barnes, 2 Megan Pritchard, 3 Hannah Johnson. Boys 1 Aaron Wharton, 2 Dean Johnson, 3 Cameron McKillon. 13-14 years 100m backstroke, girls 1 Laura Huggon, 2 Rebekah Smith, 3 Laura Barnes. Boys 1 Allan Armstrong. 8 years 25m backstroke, girls - 1 Melanie Gray, 2 Ellen Regan, 3 Francesca Wilcox. Boys 1 Lewis Pamphilon, 2 Matthew Golden, 3 Taylor Balmer. 11-12 years 100m butterfly, girls 1 Sophie Hather, 2 Lois Wharton, 3 Amy Stitch. Boys 1 Johnny Pritchard, 2 Adam Huggon, 3 Calum Forsyth. 10 years 50m breaststroke, girls 1 Jodi Hebson, 2 Laura Stitch, 3 Emily McNeil. Boys 1 Jay Johnson, 2 Philip Smith, 3 Matthew Noble. 13-14 years 4 x 50m individual medley, girls 1 Laura Huggon, 2 Rebekah Smith, 3 Laura Huggon. Boys 1 Allan Armstrong. 9 years 50m butterfly, girls 1 Lucy Barnes, 2 Francesca Branthwaite, 3 Hannah Johnson. Boys 1 Aaron Wharton, 2 Andrew Branthwaite, 3 Dean Johnson. 50m butterfly, ladies 1 Laura Huggon, 2 Naomi Smith, 3 Rebekah Smith. Men 1 Stewart Marshall, 2 Allan Armstrong, 3 Dan White. 11-12 years 100m freestyle, girls 1 Lois Wharton, 2 Sophie Hather, 3 Kim Berry. Boys 1 Martin Heath, 2 Johnny Pritchard, 3 Calum Forsyth. 50m freestyle, ladies 1 Laura Huggon, 2 Naomi Smith, 3 Rebekah Smith. Men 1 Stewart Marshall, 2 Dan White, 3 Allan Armstrong. School Shield Ullswater Community College. Second round results: 7 years 25m breaststroke, girls 1 Ella Rinder, 2 Sarah Halliwell. Boys 1 Joshua Barnes, 2 Danny Rinder, 3 Joseph Horne. 100m butterfly, ladies 1 Laura Huggon, 2 Naomi Smith, 3 Emma Nixon. Men 1 Allan Armstrong, 2 Stewart Marshall, 3 Dan White. 8 years 25m breaststroke, girls 1 Melanie Gray, 2 Ellen Regan, 3 Francesca Wilcox. Boys 1 Lewis Pamphilon, 2 Matthew Golden, 3 Stephen Halliwell. 13-14 100m breaststroke 1 Laura Huggon, 2 Rebekah Smith, 3 Holly Marshall. Boys 1 Allan Armstrong. 9 years 50m backstroke, girls 1 Laura Barnes, 2 Hannah Johnson, 3 Francesca Braithwaite. Boys 1 Aaron Wharton, 2 Dean Johnson, 3 Andrew Branthwaite. 10 years 50m butterfly, girls 1 Jodie Hebson, 2 Emily McNeill, 3 Laura Stitch. Boys 1 Jay Johnson, 2 Tom Kitching, 3 Matthew Noble. 11-12 100m backstroke, girls 1 Lois Wharton, 2 Amy Stitch, 3 Sophie Hather. Boys 1 Johnny Pritchard, 2 Martin Heath, 3 Calum Forsyth. 10 years 50m freestyle, girls 1 Jodi Hebson, 2 Heather Bland, 3 Laura Stitch. Boys 1 Jay Johnson, 2 Tom Kitching, 3 Philip Smith. 11-12 4 x 50m individual medley, girls 1 Lois Wharton, 2 Sophie Hather, 3 Amy Stitch. Boys 1 Johnny Pritchard, 2 Martin Heath, 3 Adam Huggon. 100m freestyle, ladies 1 Laura Huggon, 2 Naomi Smith, 3 Emma Nixon. Men 1 Stewart Marshall, 2 Dan White, 3 Allan Armstrong. 50m backstroke, ladies 1 Laura Huggon, 2 Naomi Smith, 3 Rebekah Smith. Men 1 Allan Armstrong, 2 Stewart Marshall, 3 Mark Nixon. First round results: 7 years and under 25m freestyle, girls 1 Ella Rinder, 2 Sarah Halliwell, 3 Kerry Regan. Boys 1 Joshua Barnes, 2 Bradley Quail, 3 Robbie Barker. 13-14 100m butterfly, girls 1 Laura Huggon, 2 Rebekah Smith. Boys 1 Allan Armstrong. 11-12 100m breaststroke, girls 1 Lois Wharton, 2 Leanne Birkbeck, 3 Amy Stitch. Boys 1 Johnny Pritchard, 2 Martin Heath, 3 Calum Forsyth. 10 years 4 x 25m individual medley, girls 1 Jodi Hebson, 2 Laura Stitch, 3 Emily McNeill. Boys 1 Jay Johnson, 2 Tom Kitching, 3 Matthew Noble. 13-14 100m freestyle, girls 1 Laura Huggon, 2 Rebekah Smith, 3 Laura Barnes. Boys 1 Allan Armstrong. 8 years 25m freestyle 1 Melanie Gray, 2 Francesca Wilcox, 3 Ellen Regan. Boys 1 Matthew Golden, 2 Lewis Pamphillon, 3 Taylor Balmer. 100m backstroke, ladies 1 Laura Huggon, 2 Rebecca Halliwell, 3 Naomi Smith. Men 1 Allan Armstrong, 2 Stewart Marshall, 3 Dan White. 9 years 50m backstroke, girls 1 Laura Barnes, 2 Francesca Braithwaite, 3 Heather Graham Boys 1 Andrew Branthwaite, 2 Aaron Wharton, 3 Cameron McKillon. 4 x 50m individual medley, ladies 1 Laura Huggon, 2 Naomi Smith, 3 Emma Nixon. Men 1 Allan Armstrong, 2 Stewart Marshall, 3 Mark Nixon. 10 years 50m breaststroke, girls 1 Jodi Hebson, 2 Heather Bland, 3 Laura Stitch. Boys 1 Jay Johnson, 2 Tom Kitching, 3 Phillip Smith. 11 years 50m breaststroke, girls 1 Naomi Smith, 2 Laura Huggon, 3 Rebekah Smith. Boys 1 Stewart Marshall, 2 Mark Nixon, 3 Allan Armstrong. Marsh Cup Penrith Queen Elizabeth Grammar School.